Ottawa's Kia On Hunt Club is a Kia Dealership located in Nepean, just minutes from downtown Ottawa and Kanata. Ottawa's Kia On Hunt Club is the largest Kia dealer in Ottawa, with huge indoor showroom full of New Kia models, and certified preowned vehicles. We carry all makes of used cars, used SUVs, used CUVs, used vans, and used trucks. Search our extensive Kia inventory to find your new Kia in-stock and ready to roll! We sell new Kia vehicles such as Kia Rio and Kia Rio 5-door, Kia Forte and Kia Forte Koup, Kia K900, Kia Amanti, Kia Optima and Kia Optima Hybrid, Kia Borrego, Kia Cadenza, Kia Rio 5, Kia Rondo, Kia Soul and Kia Soul EV, Kia Sedona, Kia Sorento, Kia Spectra and Kia Sportage at Kia On Hunt Club in Ottawa. Kia On Hunt Club serves Ottawa and surrounding areas including Ottawa City, Vanier, Nepean, Gloucester, Kanata, Gatineau, Hull, Orleans, and Bells Corners. Ottawa Kia On Hunt Club is staffed by experts that are here to assist you with Kia sales, Kia service, and\ Kia parts. We specialize in Kia factory service and Kia OEM accessories for your vehicle in Ottawa. Visit Ottawa's Kia On Hunt Club today at 350 W. Hunt Club Road, Ottawa, Ontario K2E 1A5. Kia On Hunt Club carries new Kia Cars, SUVs, Hatchbacks and Coupes. We're proud to be located in Ottawa, Ontario. At Kia On Hunt Club we will do anything and everything to earn your business. 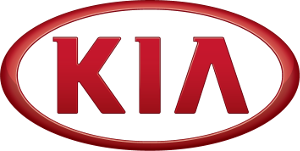 Receive the best service possible for your new or used Kia vehicle at Kia On Hunt Club. We've got you covered with quality genuine Kia parts and factory-trained master technicians. Selling or trading your vehicle? Kia On Hunt Club sells thousands of used cars, and we buy them too! Let us estimate your vehicle's value for free, and please search our fantastic used vehicle inventory.